Artist impression of Vorombe titan. Credit: Jaime Chirinos. Elephant birds (Aepyornithidae) are an extinct group of colossal flightless birds that roamed Madagascar until they abruptly became extinct about 1,000 years ago, likely due to overhunting by humans. Aepyornis maximus, which is also the first elephant bird species to be described, has often been considered to be the world’s largest bird. Now, the first taxonomic reassessment of the family in over 80 years suggests that scientists had previously missed a distinct genus. One of the new genus’ members has since claimed the crown for world’s largest bird. The species, aptly named Vorombe titan (meaning ‘big bird’ in Malagasy and Greek), weighed 800kg and stood up to 3 meters tall — that’s 20 centimeters taller than an ostrich and quite larger than many dinosaurs. In the previous Aepyornithidae taxonomy, scientists split the family into two genera that covered 15 different species. But in a new study, Dr. James Hansford and colleagues at ZSL’s (Zoological Society of London) Institute of Zoology have found that the elephant bird family is in fact spread across three genera and at least four distinct species. The findings were reported in the journal Royal Society Open Science. “Elephant birds were the biggest of Madagascar’s megafauna and arguably one of the most important in the islands evolutionary history—even more so than lemurs. This is because large-bodied animals have an enormous impact on the wider ecosystem they live in via controlling vegetation through eating plants, spreading biomass and dispersing seeds through defecation. Madagascar is still suffering the effects of the extinction of these birds today,” Hansford said in a statement. To reach their conclusion, the researchers painstakingly studied hundreds of elephant bird bones housed in museum collections around the world. 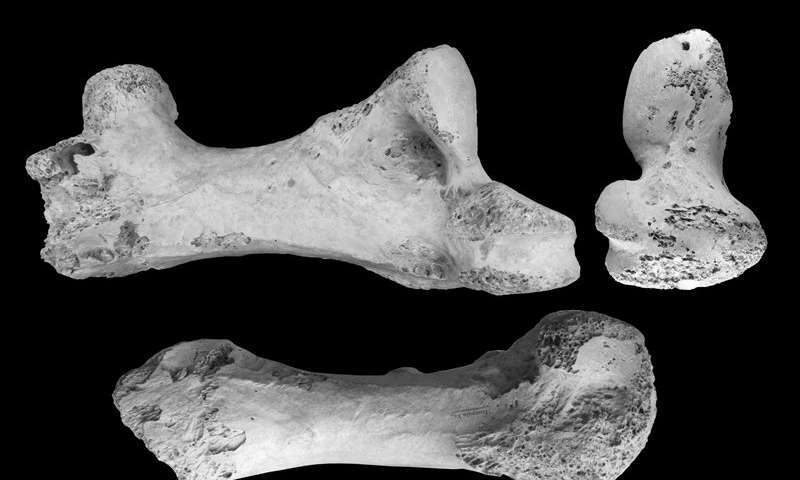 With a technological edge — a combination of machine learning and Bayesian clustering that filled the blanks in broken bones — Hansford’s team was able to spot differentiating patterns in the ancient animal’s bones that other scientists before them had missed. In fact, the Vorombe titan fossils were initially interpreted as belonging to Aepyornis maximus. Huge Vorombe titan bones. Credit: ZSL. 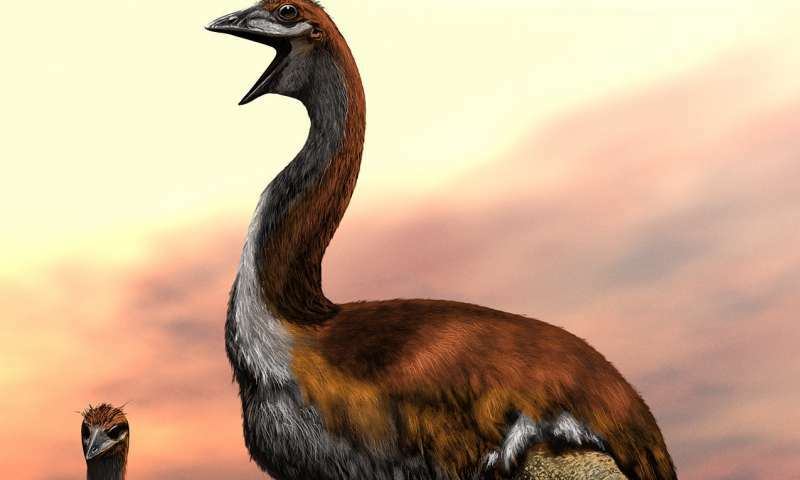 Some scholars argue that the moa (Dinornithiformes), another extinct flightless bird which once used to roam New Zealand, was the biggest bird on record. The new findings clearly settle the debate, with Madagascar’s ‘big bird’ clearly leading the pack. “Without an accurate understanding of past species diversity, we can’t properly understand evolution or ecology in unique island systems such as Madagascar or reconstruct exactly what’s been lost since human arrival on these islands. Knowing the history of biodiversity loss is essential to determine how to conserve today’s threatened species,” said co-Author Professor Samuel Turvey from ZSL’s Institute of Zoology. Elephant birds, along with other Malagasy megafauna such as the giant lemur, became extinct about 1,000 years ago. Until recently, the earliest documented presence of humans in Madagascar dated to 2,400 to 4,000 years ago. Most likely, these first settlers sailed from Borneo across the Indian Ocean. The first settlements, however, date back to 1,500 years ago, marked by an increase in fire frequency across the island’s central highlands used to clear forests. Grass pollen throughout the island around the year 1000 suggests that, by that time, cattle replaced many areas where there were once forests. Finally, around the year 1500, the first Europeans set foot on the island. A new study published this month, however, suggests that humans and the island’s megafauna coexisted for up to 9,000 years with limited negative impact on the local ecosystem. More evidence may help settle the now reopened question of Madagascar’s extinct megafauna.